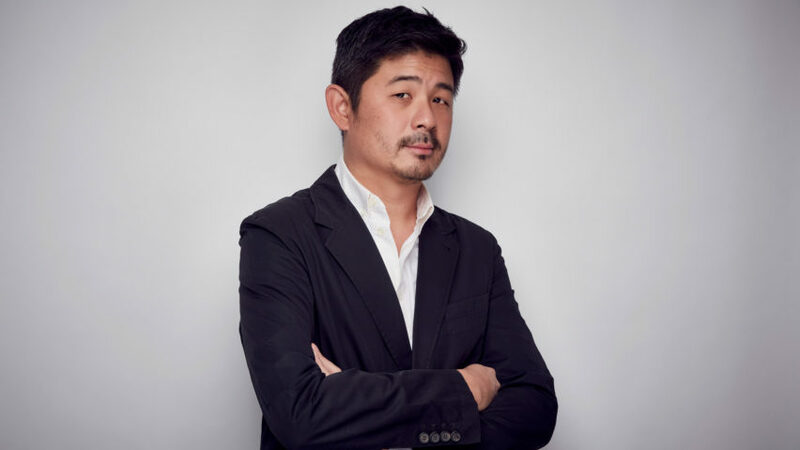 Shanghai-based architecture and design curator Aric Chen is set to become the first curatorial director of the Design Miami events in Florida and Basel. Chen will oversee exhibitions, commissions and collaborations for the Design Miami and Design Miami/Basel events in 2019, it was revealed yesterday, 22 November. "I am thrilled to join Design Miami and bring a new and different perspective to the fair," said Chen in a statement released following the news. "Design Miami's unparalleled position in the design world as a platform for innovation, education, and philanthropy is something I look forward to being a part of." Chen, who has previously organised exhibitions for Design Miami, will take on the curatorial director role at the beginning next year. The position replaces the chief creative officer role currently held by Rodman Primack, whose tenure will conclude after this year's Design Miami fair is over. Primack will stay on as Design Miami's global ambassador. The announcement comes a few months after it was revealed that Chen was leaving his previous full-time role, as lead curator of Hong Kong's still yet-to-complete M+ museum, to instead become a curator-at-large. Chen's experience – he has been creative director of Beijing Design Week, and curatorial adviser to the Cooper-Hewitt Design Triennial, Gwangju Design Biennale and Shenzhen's Bi-City Biennale of Urbanism/Architecture – make him ideally suited to the role, according to Design Miami founder Craig Robins. His portfolio also includes a host of international exhibitions, including showcases at London's Design Museum, the ExperimentaDesign Amsterdam, the Saint-Étienne International Design Biennial in France and Israel's Design Museum Holon. "When we set out to make the selection for this first curatorial director, Aric stood out, not only for his multidisciplinary approach, but also for his international sensibility," said Robins. "Aric's perspective aligns directly with the collector base of Design Miami and we look forward to his work in 2019." Chen, who was born in the US, is highly regarded among the architecture and design industry, particularly for his focus on providing a Chinese talent with an international platform. He contributes critical pieces to major publications including the New York Times, Wallpaper, GQ, PINUP and Surface, and is the author of the Brazil Modern publication. "We are delighted to incorporate Aric's expertise and vision to the fair," Robins added. "His reach is global, and his institutional experience is at the highest level in the arts." Chen's curatorial statement and exhibition programme as the inaugural curatorial director will be announced early 2019. He will hold the position for 12 months before it is appointed to a different individual from the art, design and architecture industry. "The one-year appointment will allow us to inject a fresh point of view each edition in Miami Beach and Basel and to draw from an ever-evolving roster of creative talent globally," said Design Miami's chief executive officer Jen Roberts. "We believe the fair-going experience should be dynamic and exciting; this will reinforce the pace and ingenuity our collectors and visitors continue to expect." The design industry is currently gearing up for this year's Design Miami, set to take place from 5 to 9 December 2018 in the Floridian city. Earlier this month it was announced that an all-diamond ring created by Apple design head Jonathan Ive and renowned designer Marc Newson will be among 50 works for sale at a charity auction held during the event. The June Design Miami/Basel fair saw designer Porky Hefer showcase a series of oversized bean bags and French furniture brand Smarin create a seating installation that looked like military defences. Portrait of Chen is by Mark Cocksedge. Photography of Design Miami is by James Harris.